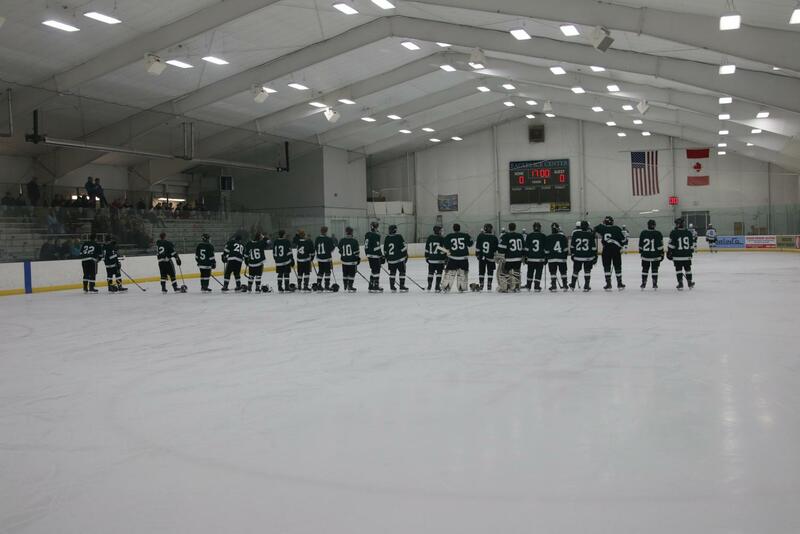 The Rangers are coming off an 8-0 victory against East Kentwood last Saturday, finishing the game mere minutes into the third period off of the mercy rule. Shot after shot hit the Falcon goalie, with many zipping right past him. The game was a blur for the players, as it was an incredibly quick game filled with action. Days later on Wednesday, the Rangers took on the Mona Shores Sailors, a matchup a little bit tougher than the game on Saturday. Mona Shores was defeated by both Reeths Puffer and Grand Haven by at least 3 goals in both games, while the Rangers defeated both of these teams by at least 4 goals. While the scores would suggest Wednesday wouldn’t be too difficult of a game for FHC, any given road game in the OK conference can be challenging. Sophomore Mason Kelly started off the scoring for the Rangers, getting his own rebound off the saved shot and burying it into the back of the net. Following the goal from Mason, a Sailor forward beat a defender and senior Carl Mielock in goal, tieing the game at 1 goal apiece. In the second period, Mason and junior Cole Beufait passed it around the Sailor defenders while on a power play before the puck eventually made it to junior Peter Bardelli, who finished it into the net. This lead didn’t last for long, as the Sailors tied it up again before the buzzer for the end of the second period sounded. Even though the score was tied throughout the game, the Rangers dominated with constant shots on goal and outstanding goaltending from senior Carl Mielock. In the third period, the score remained deadlocked at 2-2 for the majority of the time. 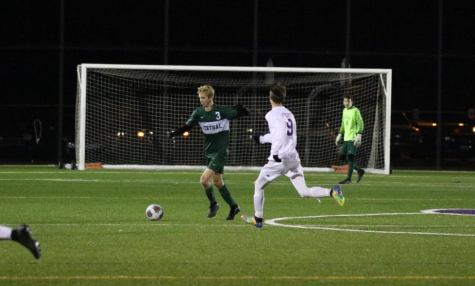 However, with only three minutes to go, senior Cole Ott put a shot on goal that was saved, only to be followed up by junior Cole Munger, who got the job done to give the Rangers a 3-2 lead. Star junior defenders Hayden Sarjeant and Ryan Jeffreys held the first line strong to halt the Sailors’ last effort, preserving the 3-2 lead for the win. This win takes the Rangers to an impressive 14-4-1 record so far this season. Next up for the Rangers is a rematch against Forest Hills Northern/Eastern, a team they lost to narrowly 2-1 at the beginning of January. With this crosstown rivalry being their second-to-last conference game of the year, it’s a must-win game in the eyes of the players.